After another visit to the doc - a GP registrar whom I'd never seen before - He prescribed a different type of inhaler called a Breezhaler; a capsule that's inserted into a little gadget, pierced, and then inhaled once, just once a day. I can't believe what a difference it's made!! Why did it take 3 docs' visits to be given this?! I now breathe normally & hardly even cough! A new lease of life! When I got it from the pharmacy, I had to give them a phone number, as they said that after 2 weeks, they would call me to find out if it was working, so maybe this medication is on some kind of trial? It's indicated for COPD, although I have never been diagnosed with this. Anyway, I'm very grateful for it! 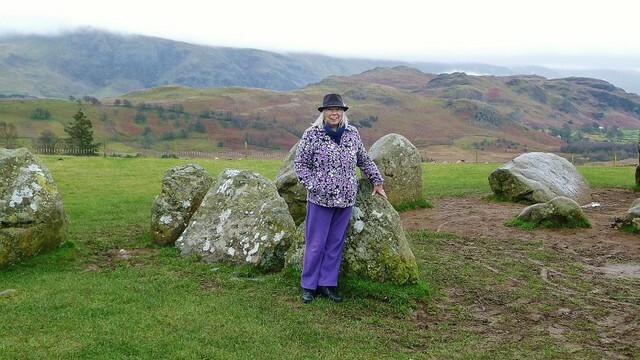 By the way, here I am beside the Castlerigg stone circle! Amazing place with wonderful views all around. A better view of the circle. I'm so glad you are now breathing better with the new medication. 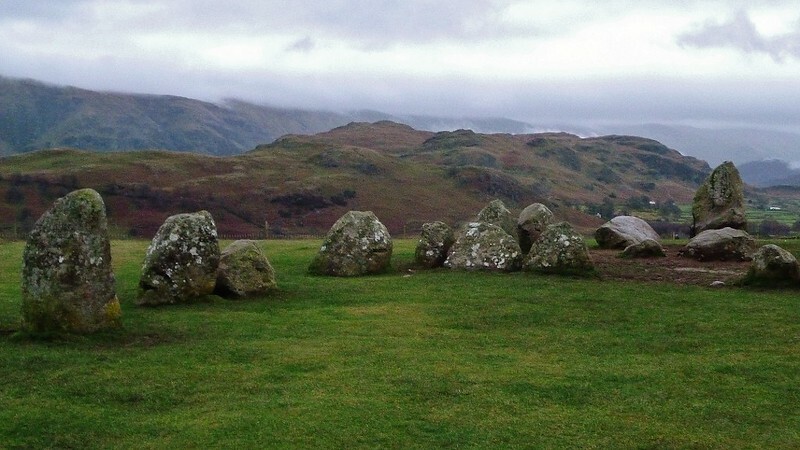 Castlerigg is a lovely circle. We used to visit it regularly when we went to Cumbria. That is indeed beautiful scenery. Helen, I am so glad you're feeling better. Have you been given a new diagnosis? Do they still say you have a lung infection or is it something else?